D.1 U 1 ​Essential nutrients cannot be synthesized by the body, therefore they have to be included in the diet. Minerals are often found in ionic form and are essential for our diet - if minerals are lacking in our diet, it results in a deficiency disease. For example, without the mineral iodine, the thyroid is continuously stimulated to produce hormones resulting in goiter. D.1 U 3 ​Vitamins are chemically diverse carbon compounds that cannot be synthesized by the body. (Oxford Biology Course Companion page 663). D.1 U 4 Some fatty acids and some amino acids are essential. An essential amino acid or indispensable amino acid is an amino acid that cannot be synthesized de novo by the organism, but must be supplied in its diet. 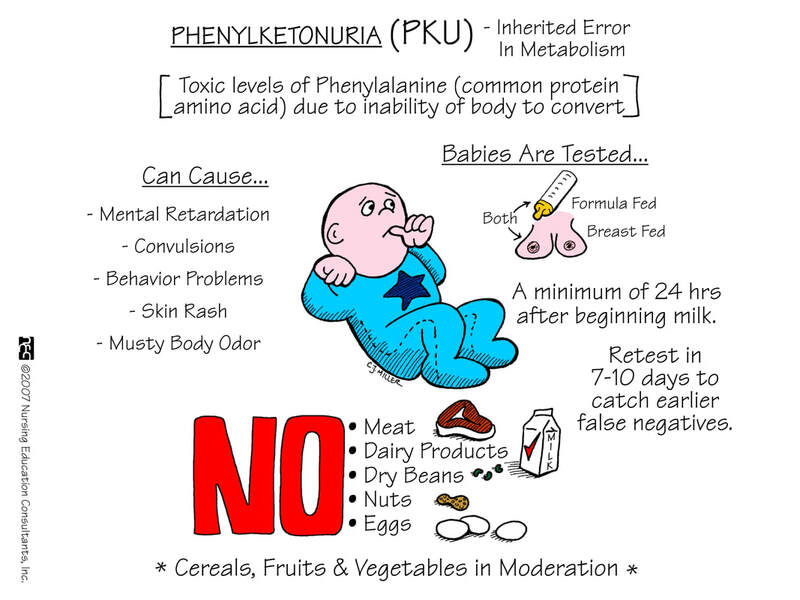 The nine amino acids humans cannot synthesize are phenylalanine, valine, threonine, tryptophan, methionine, leucine, isoleucine, lysine, and histidine. 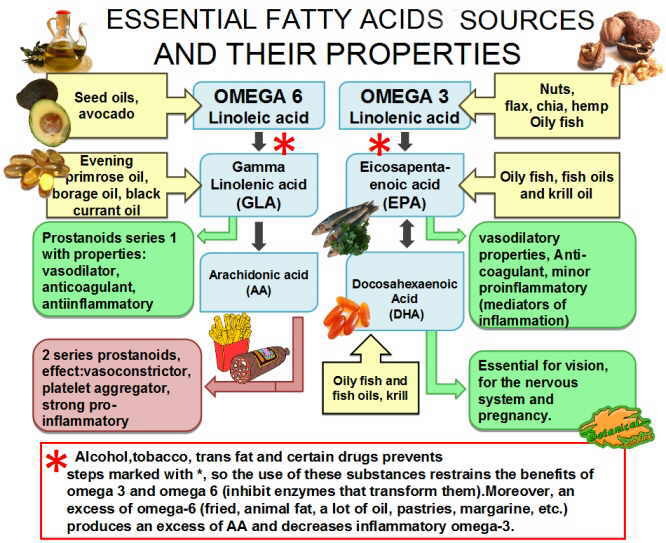 Only two fatty acids are known to be essential for humans: alpha-linolenic acid (an omega-3 fatty acid) and linoleic acid (an omega-6 fatty acid). ​Some other fatty acids are sometimes classified as "conditionally essential," meaning that they can become essential under some developmental or disease conditions; examples include docosahexaenoic acid (an omega-3 fatty acid) and gamma-linolenic acid (an omega-6 fatty acid). D.1 U 5 ​Lack of essential amino acids affects the production of proteins. 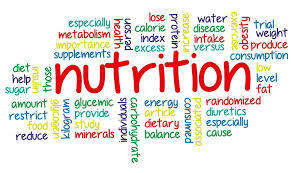 Protein cannot be made if there is a shortage of one or more essential amino acids - this is known as protein deficiency malnutrition and can come from a low intake of protein in the diet or an imbalance of the types of protein consumed. PDM can cause a lack of blood plasma proteins which can result in tissue fluid retention. 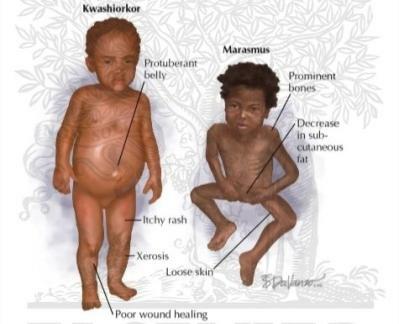 Kwashiorkor, also known as “edematous malnutrition” because of its association with edema (fluid retention), is a nutritional disorder most often seen in regions experiencing famine. It is a form of malnutrition caused by a lack of protein in the diet. People suffering from kwashiorkor typically have an extremely emaciated appearance in all body parts except their ankles, feet, and belly, which swell with fluid. Kwashiorkor is rarely found in the United States and other countries with a generally steady food supply. 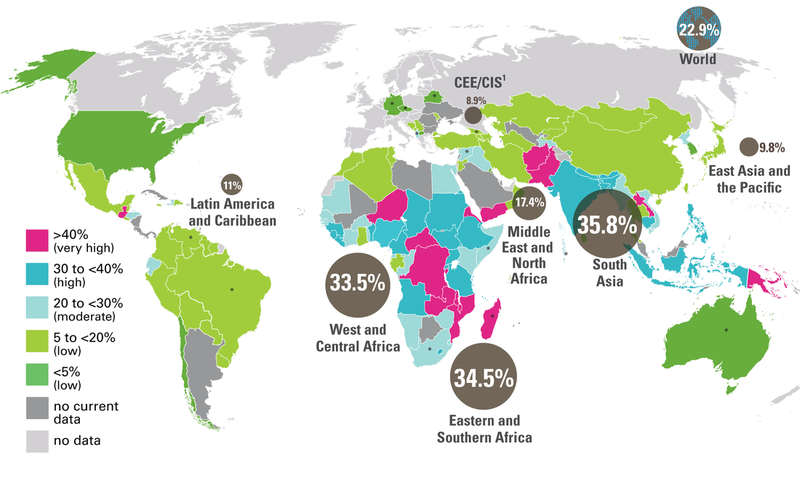 It’s most common in sub-Saharan Africa and other countries where people routinely have a limited supply of food. The extreme lack of protein causes an osmotic imbalance in the gastrointestinal system causing swelling of the gut diagnosed as an edema or retention of water. 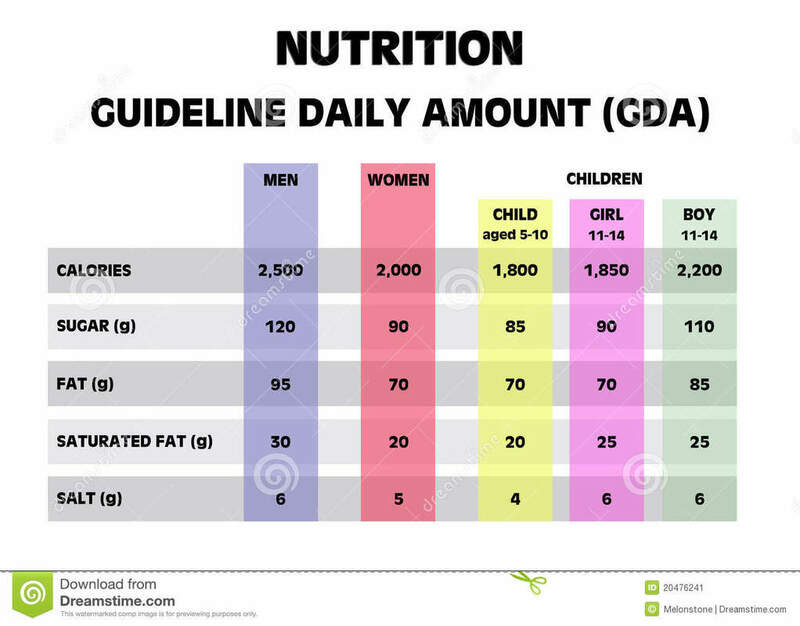 D.1 U 6 Malnutrition may be caused by a deficiency, imbalance or excess of nutrients in the diet. 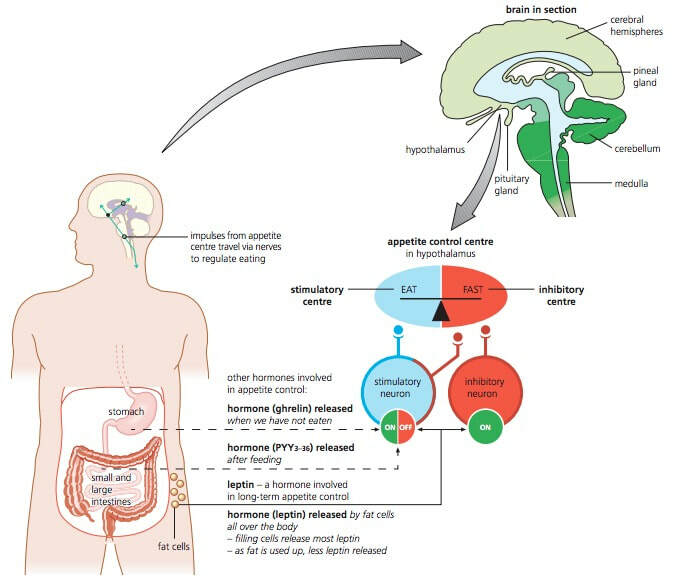 D.1 U 7 ​Appetite is controlled by a centre in the hypothalamus. D 1 U 8 ​Overweight individuals are more likely to suffer hypertension and type II diabetes. 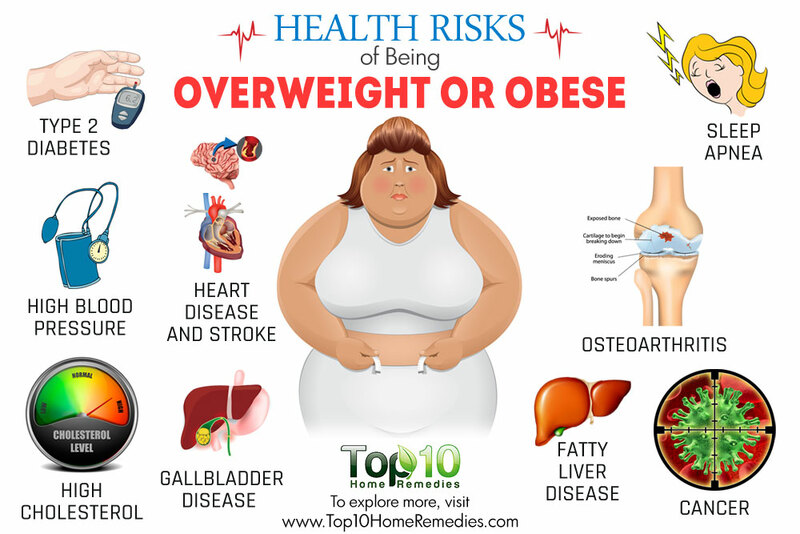 Obese individuals have more fatty tissue that causes an increase in their vascular resistance and thus increases the 'work' the heart has to do in order to pump blood around the body. This can result in hypertension for Diabetes. 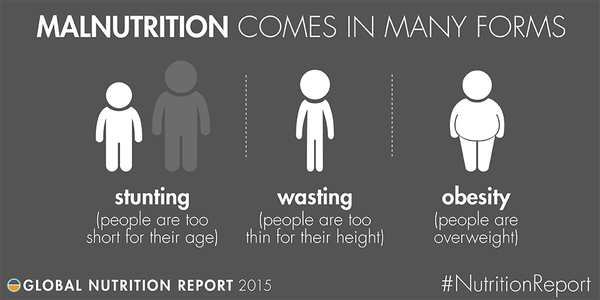 D 1 U 9 ​Starvation can lead to breakdown of body tissue. D.1 A 1 ​Production of ascorbic acid by some mammals, but not others that need a dietary supply. Ascorbic acid is a form of vitamin C that is required for a range of metabolic activities in all animals and plants Vitamin C must be obtained by the body in sufficient quantities from the consumption of vitamin C-rich foods, including citrus fruits, cabbage and tomatoes. Antioxidants protect the body against the destructive effects of free radicals - they neutralize free radicals by donating one of their own electrons, ending the electron-"stealing" reaction. Free radical damage accumulates with age and can thus contribute to the development of health conditions such as cancer, heart disease and arthritis. 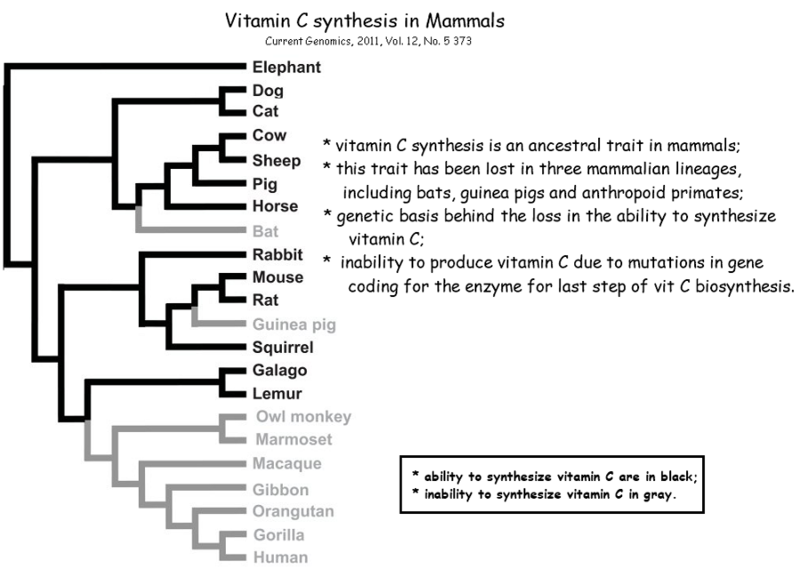 Humans do not produce Vitamin C due to a mutation in the GULO (gulonolactone oxidase) gene, which results in the inability to synthesise the protein. Normal GULO is an enzyme that catalyses the reaction of D-glucuronolactone with oxygen to L-xylo-hex-3-gulonolactone. D.1 A 3 ​Lack of Vitamin D or calcium can affect bone mineralization and cause rickets or osteomalacia. (Oxford Biology Course Companion page 668). A diet deficient in vitamin D in conjunction with inadequate sun exposure causes osteomalacia (or rickets when it occurs in children), which is a softening of the bones. In the developed world, this is a rare disease. However, vitamin D deficiency has become a worldwide issue in the elderly and remains common in children and adults. Low blood calcidiol (25-hydroxy-vitamin D) can result from avoiding the sun. Deficiency results in impaired bone mineralization and bone damage which leads to bone-softening diseases. D.1 A 4 ​Breakdown of heart muscle due to anorexia. Anorexia nervosa is an eating disorder characterised by self-starvation and excessive weight loss. 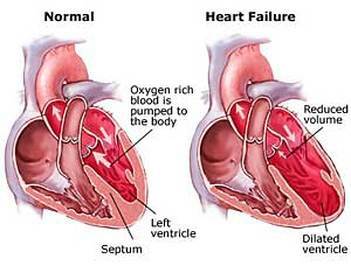 Malnutrition starves body tissues, thus the heart walls can become thin and weak which causes the heart chambers to enlarge . The pumping function of the heart declines and blood pressure falls. Organs that are sensitive to blood pressure e.g. the liver and kidney begin to fail. Cholesterol is required for cell membrane structure and steroid synthesis, but very little (~20%) cholesterol comes from the diet. High cholesterol diets can lead to atherosclerosis, as characterised by the deposition of fatty plaques and subsequent hardening of the arteries. However the risks are increased when high levels of saturated fats are combined in the diet. High levels of saturated fats also cause atherosclerosis, but also raise levels of LDL (low density lipoprotein) which retains cholesterol in the body. Reducing dietary cholesterol levels will likely only be effective in lowering the risk of coronary heart disease if it is combined with lower levels of saturated fats as part of a balanced diet. Arteries supplying the heart become narrowed and the blood supply to cardiac tissues is reduced. Heart has to work harder to force blood through narrowed vessels / blood pressure increases. You can determine energy content of food by burning a portion of it and capturing the heat released to a known amount of water. This technique is called calorimetry. 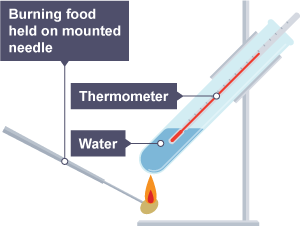 The energy content of the food is the amount of heat produced by the combustion of 1 gram of the food, and is measured in kilojoules per gram (kJ/g). BBC Health guidelines on drinking water. Scientific American article on water requirements. There are positive effects of exposure to sun such as the production of Vitamin D as well as health risks associated with exposure to UV rays. How can conflicting knowledge claims be balanced? An intermittent fasting diet is one of the hippest new nutrition and fitness philosophies, based around the idea that going hungry can be good for your health. Some think it’s a weight loss secret that calls upon our ancient evolutionary programming. We look at the science behind intermittent fasting. The things we eat and drink on a daily basis can impact our health in big ways. Too many carbohydrates, for instance, can lead to insulin resistance, which is a major contributor to cardiovascular disease and Type 2 Diabetes. But what are carbs, exactly? And what do they do to our bodies? Humans have worried about toxins since Ancient Egypt. We can relax. We hear about calories all the time: How many calories are in this cookie? How many are burned by doing 100 jumping jacks, or long-distance running, or fidgeting? But what is a calorie, really? And how many of them do we actually need?